Mixed media art quilt techniques and ramblings. 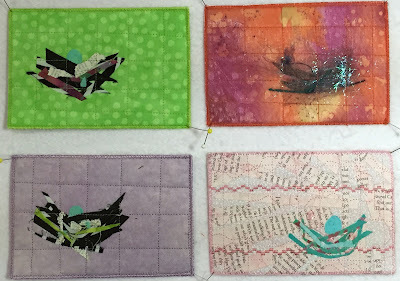 I discovered that while making the mixed media art quilts in my nest series, I was ending up with a lot of scrap pieces of both fabric and nest materials. 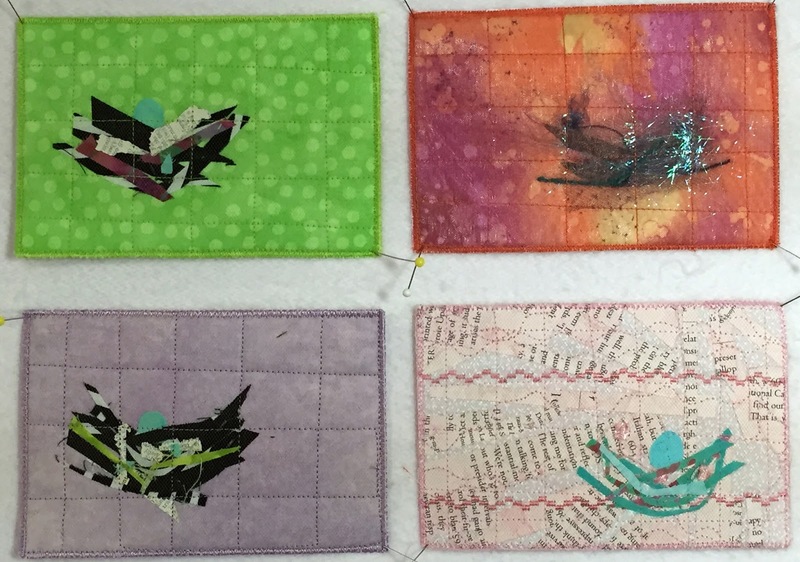 So, I've been making fabric postcards of miniature nests. Here are some of the ones that I've made. These have been really fun to make since they are so quick. Each one has a different combination of nest materials, which can include old book pages, yarn, shredded fabric, Angelina fibers, thread, yarn, or bias binding. The top is covered with a layer of either tulle or organza, then stitched to encapsulate the nest materials. I finish each one with a couple of rounds of zigzag stitches. There are several good books on how to make fabric postcards and YouTube is always a good source. One of my many quilting friends taught me how to make them several years ago, and I'm glad she shared her knowledge.